In German speaking countries and many other parts of the world,the filet is what the English-speaking eater expects when ordering a tenderloin. 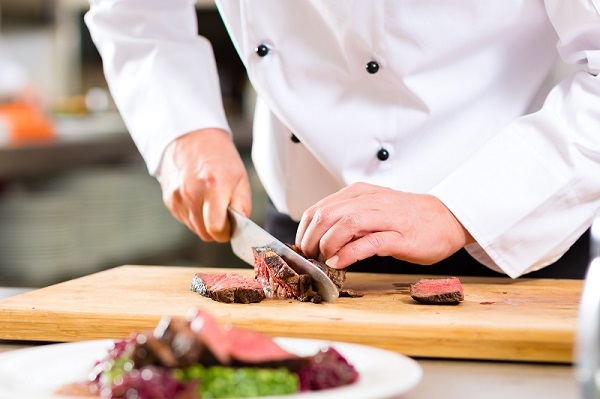 But in good old France the cook, yes the cook and not the chef – because chef is a French word and means nothing else than boss, would put a sirloin steak on the grill when the chef de cuisine (boss of the kitchen) announces: “ Nouvelle commande: deux filets saignants!”. That means in good English: “New order: two sirloin steaks rare!” So, if you are in France and order a filet, you will get a sirloin steak. If you want a filet in France don’t try to impress your companion by ordering a filet, you will be disappointed. You order a tournedos for a big filet or a filet mignon for a smaller filet. 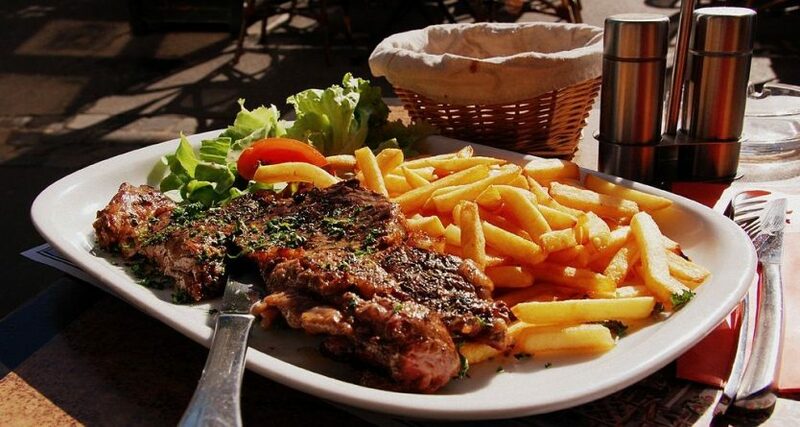 You will get what you ordered, but in Europe (except in France again) they use the French word Entrecôte which is literary means between the sides – between the (side)bones. So, in France you order now the filet and you will get the sirloin steak! Complicate, isn’t it? It gets really complicate with the next cut! I talk now about the rib eye steak. The English-speaking people are all simple to understand and serve the rib eye steak. But only a few German speaking know the German Name which is Hohrückensteak or Hohrippensteak. And in France it’s called entrecote. 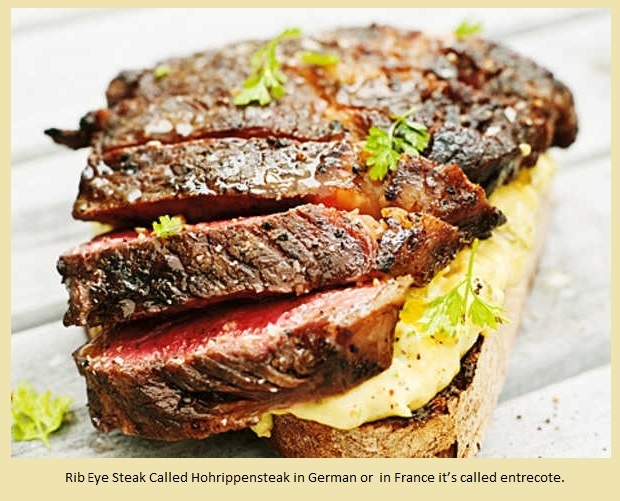 This is confusing for the most Europeans as they think they have been cheated after ordering an entrcôte which is a fine French word, and then being dished out a rib eye steak with fat and sinews going right thru the middle of the supposedly lean meat. That’s why in our restaurant I have adopted the idea to put pictures alongside our alphabetical explanation of different cuts. Travel to South America and try to order the right meat in Spanish.